Atomos has just announced their newest (and smallest) digital recorder: The Ninja Star. At only 4.5 ounces, the Ninja Star is the most compact and lightweight digital recorder on the market. Atomos has also released the Atomos CFast 1.0 media cards, custom HDMI cables, and a CFast USB 3 reader that will be included with the Ninja Star. The Ninja Star records to Apple Pro Res HQ, and its small size and multiple mounting options makes it ideal for mounting to drones, helicopters and the like. These two features also make it the perfect recorder “…extreme sports and reality TV cameramen”. It can even record at 450MB/s, which can “…allow recording to 4K ProRes at 30p and beyond, allowing CFast to assist in the high 4K data rates on other products such as the Shogun”, making the Ninja Star even more versatile beyond just its small size. Atomos has also released their CFast 1.0 cards, as well as enabling the use of CFast 2.0 cards for use with the Ninja Star. These cards are much cheaper than the commonly used CFast cards used today, and really help the Ninja Star reach its full potential. The Ninja Star is shipping now at $295, with the Atomos CFast cards running for $159 for 64GB and $239 for 128GB. For more information, please see the press release below as well as www.Atomos.com/Ninja-Star. 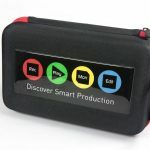 Melbourne, Australia – June 30th, 2014: Atomos, creator of the award-winning Ninja and Samurai camera-mounted recorders, and the Connect converters, confirm that the Ninja Star has completed the first production runs and is being shipped to the reseller channel ready to meet pre-orders. Launched at NAB the Ninja Star is a must have for film creatives who need to “Record Apple ProRes on Board” camera rigs, such as Drones, RC Helicopters and other UAVs, or recording post production quality from the world’s best camera makers, Canon, Sony, Nikon Panasonic and GoPro. To make this ultimate offering complete Atomos are excited to announce the launch of Atomos CFast 1.0 media (64GB and 128GB), custom HDMI cables as well as the inclusion of the CFast USB 3 reader in the box. By recognising a common need for a light and portable ProRes recorder with flexibility mounting options Atomos have responded to the numerous requests for ProRes ‘as small as possible’. 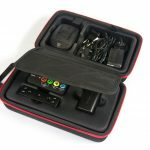 The Ninja Star’s compact, self-contained size allows DP’s and cameramen to add recording to just about any POV set-up and offer edit ready format recording with ProRes, making it ideal for extreme sports and reality TV cameramen. Atomos takes advantage of low-cost, modern technology by utilising HDMI-capable pro-video and consumer camcorders, as well as DSLRs and mirrorless breeds. The Ninja Star can record in both HD and ProRes to capture pristine, 422 10-bit images straight from any camera sensor it also features Timecode and Start/Stop Trigger along with Audio Line-in. The Ninja Star is the next breakthrough in external HDMI recorders based on core technologies that have made Atomos the leader in camera mounted solutions. The dimensions of the Ninja Star are a slender 3.7″ (95mm) wide, 2.3″ (60mm) tall and 0.9″ (22mm) deep and it weighs a fraction of a normal recorder at just 130grams (4.5 oz.) for applications with onboard batteries and 240g (8.5oz) with the included battery and optional CFast media. The Ninja Star is perfect for creative or extreme camera work or in situations where a large monitor is prohibitive. 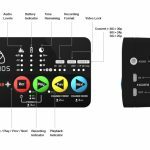 To keep the Ninja Star as streamlined as possible Atomos have adopted Flash Media and the Ninja Star can utilise either CFast, 1.0 or 2.0 cards. CFast 1.0 offers a great solution for HD recording and specifically meets the data rates required for ProRes HQ at 80MB/s sustained write and 200MB/s sustained read. CFast 2.0 is currently achieving 450MB/s + speeds, which will allow recording to 4K ProRes at 30p and beyond, allowing CFast to assist in the high 4K data rates on other products such as the Shogun. Atomos is one of the earliest adopters of the CFast standard, and having considered the few options available in the current market Atomos have made the decision to produce their own CFast card. The Atomos CFast 1.0 card will be available in 64GB and 128GB options. The Atomos Ninja Star is shipping for 295 USD, 219 EUR and 179 GBP (excluding tax and delivery) and will be available through the Atomos Worldwide reseller network. Additional Atomos CFast cards are also available in 64GB ($159 USD) and 128GB ($239 USD). See www.atomos.com for more details.